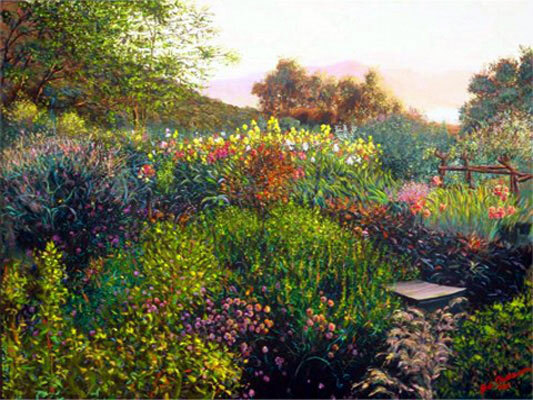 Gamma's Epson 9900 and Epson 9800 offer the latest in fine art reproductions and giclee printing. All fine art printing and archival printing utilize Ultrachrome HDR inks. Gamma utilizes two of the highest quality large format printers in producing fine art reproductions, namely the Epson 9900 and Epson 9800. While each has its distinct advantages, we realize that the best results from your work can only be achieved by using a particular combination of ink and paper, which is why we make it a point to offer the most recent advancements in giclee fine art printing. Using Epson HDR Ultrachrome ink, a pigment based dye, Gamma's Epson 9900 Eproduces tiny 3 picoleter droplets on a variety of 100% archival substrates, ranking the new line of Epson printers as the most exclusive technology for giclee printing. Up to 2880 dpi and using 3,600 print nozzles, properly made Epson prints are beautiful and superior to all other fine art printing in both tonal quality and image permanence. Even artists have a hard time telling the Epson museum quality printing from the original. No other digital printer can create dots as small or control dots with such microscopic precision. In the highest printing mode, up to 360 droplets can be combined and placed at each pixel location, which presents the ability to maximize detail, particularly in the shadow areas of the image. 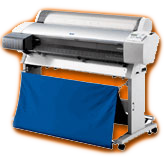 Moreover, the redesigned suction system allows archival printing on media of varying thickness up to 1.5mm thick so that the prints can be reproduced on the same watercolor paper or canvas that the artist originally used. 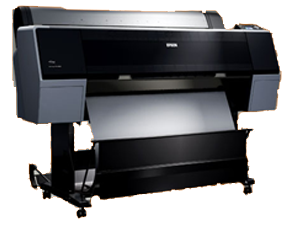 With the archivability of Epson K3 inks, Gamma employs the Epson 9800 to produce Ink Jet prints on Epson's Enhanced Matte Paper. Epson's Micro Peizo DX3 print head produces a resolution of 2,800 X 1,440 dpi. Designed specifically to handle seven color printing, the 9800 can produce a single droplet as small as 4 picoliter, ensuring the accuracy of Inkjet reproductions.